I love salt in my treats and these bars are so addictive. 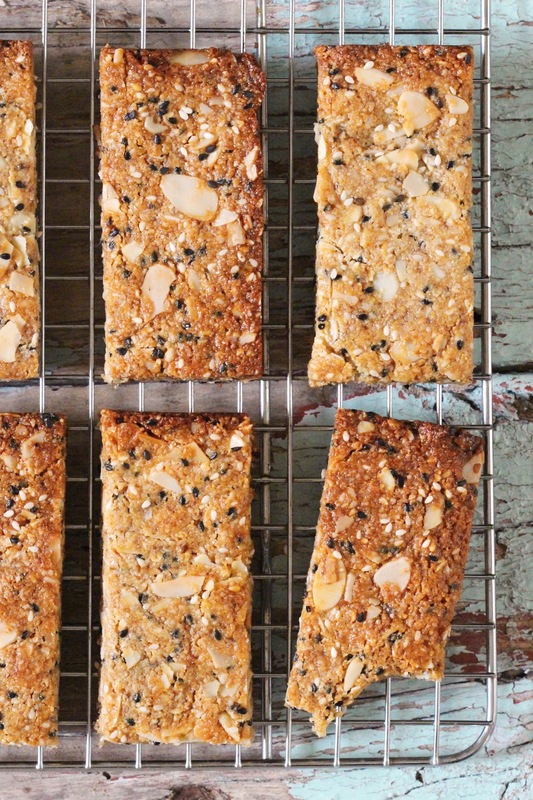 They’re chewy with crisp edges and the poppy sesame seeds and crunchy almonds give them the best texture. You can use just white sesame seeds but I love how they look with the black ones mixed in. They never last long enough in my house but if you want to store them for later pop them in an airtight container once cool. In a small saucepan on medium heat, combine the almond butter, coconut sugar, maple syrup and coconut oil. Whisk it gently until melted and smooth, then add in the salt and stir. 1/2 teaspoon of salt is more than you might think so use spoon measures if you have them, it should taste like salted caramel. Set it aside. Add the ground almonds to a large bowl with the flaked almonds and sesame seeds and mix well. Line a baking tin with parchment paper. Press the mixture very firmly into the tin, making sure it’s packed very tightly. Bake at 180’C for 15-20 minutes until golden. Take the tin out and let it cool completely on a wire rack before cutting into bars. i’ve no flaked almonds in the press – could i chop whole almonds instead?! When recipe calls for coconut oil is it solid or liquid amount that is usually required ? This something that I’m never sure about and would appreciate direction on. 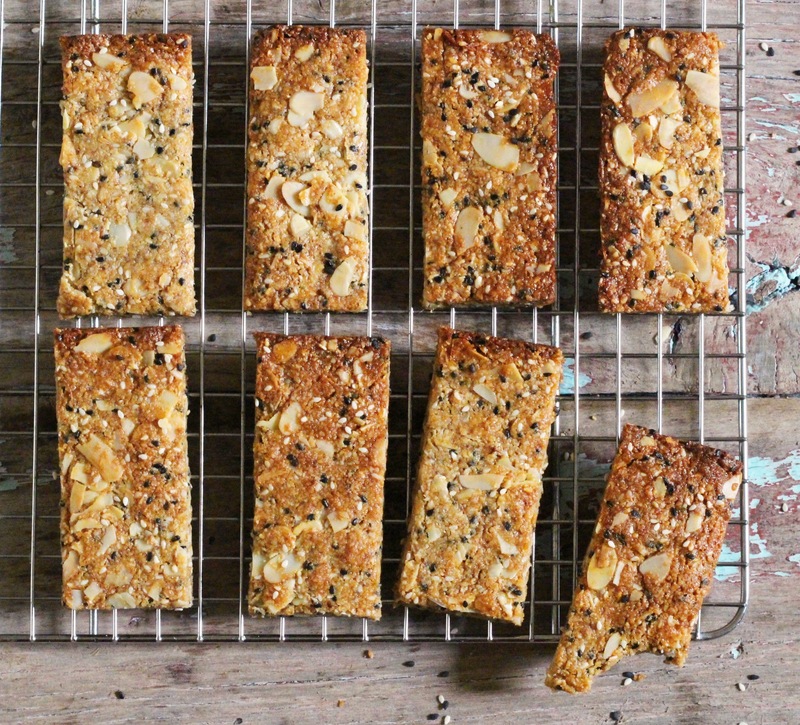 I made these with chai seeds as I had no sesame seeds in stock – they are seriously good! Thanks again Indy for another great recipe. Lovely recipe, can you use honey instead of maple syrup or is it best to stick with maple syrup ? hi Indy…. love this recipe but found the cooking time a little long so have got a crispier version of your lovely photo. Still delicious crumbled over yogurt! !